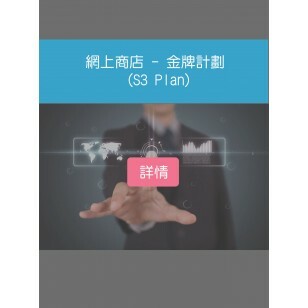 "S3 Lite" 跟 "S3" 計劃之內建功能完全相同, 只是總容量不同 (S3 : 無限MB / S3lite: ..
HK$ 599 special price HK$ 499/month Prepaid one year waived installati..
HK$ 298 special price HK$ 228/month Prepaid one year waived installati..
HK$ 198 special price HK$ 148/month Prepaid one year waived installati..
"S3 Lite" 跟 "S3" 計劃之內建功能完全相同! (只是總容量不同,詳情見頁底) 為您節省$2052年費! Tips: 如您的商品是3000件以下都適合用 “S3 Lite”, 為您節省$2052年費! HK$ 138 special price HK$ 188/month Prepaid one year waived installati..